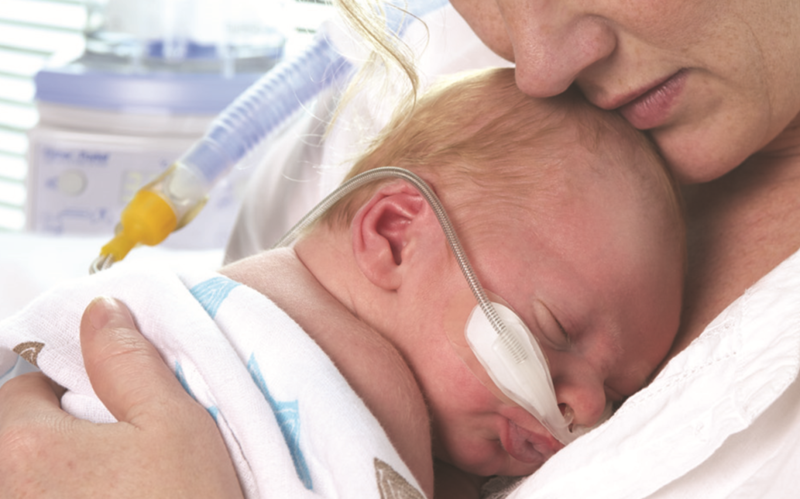 After more than a decade of research, EMF-funded researchers are set to change the way we treat infants with respiratory illness. Respiratory illness, specifically bronchiolitis, is the leading cause of paediatric hospital admissions in Australia. Annually, nearly 9000 children under the age of one-year are admitted to hospital with the illness, and 10 to 20 per cent require breathing support via a mask or intubation in a paediatric intensive care unit (PICU). However, the number of PICU admissions could be almost halved, thanks to pioneering research by a Brisbane-based team, who are championing the use of high-flow nasal cannulation (HFNC) to treat bronchiolitic infants in the emergency department. With a grant from the Emergency Medicine Foundation (EMF) – funded by Queensland Health –Emergency Medicine Staff Specialist, Dr Christa Bell and Lady Cilento Children’s Hospital (LCCH) Paediatric Intensive Care Staff Specialist, Associate Professor Andreas Schibler, ran a pilot study using high-flow in emergency departments. Their research led to an NHMRC-funded multi-centre, randomised clinical trial, which recruited 1400 infants from 17 hospitals across Australia and New Zealand. From a large clinical trial, Associate Professor Schibler and his team were able to show that when high-flow is used early in bronchiolitic infants when they present to the emergency departments, the device reduces PICU admissions by 50 per cent (from 23% to 12% of infants). The team suspect the healthcare costs associated with treating infants with bronchiolitis by up to half. It could also allow infants in rural and regional areas to be treated closer to home. “High-flow nasal cannulation is a game-changer, there’s no question about it,” said Associate Professor Schibler. EMF has awarded grants to two further high-flow pilot trials, to assess the value of the treatment for children and adults presenting to the emergency department with respiratory illness. In a third EMF-funded trial, researchers are assessing the benefit of using HFNC when intubating critically ill children. * HFNC provides a supply of warm, humidified oxygen via a thin nasal tube and, because it’s easy to use and comfortable for the patient, infants don’t require sedation.